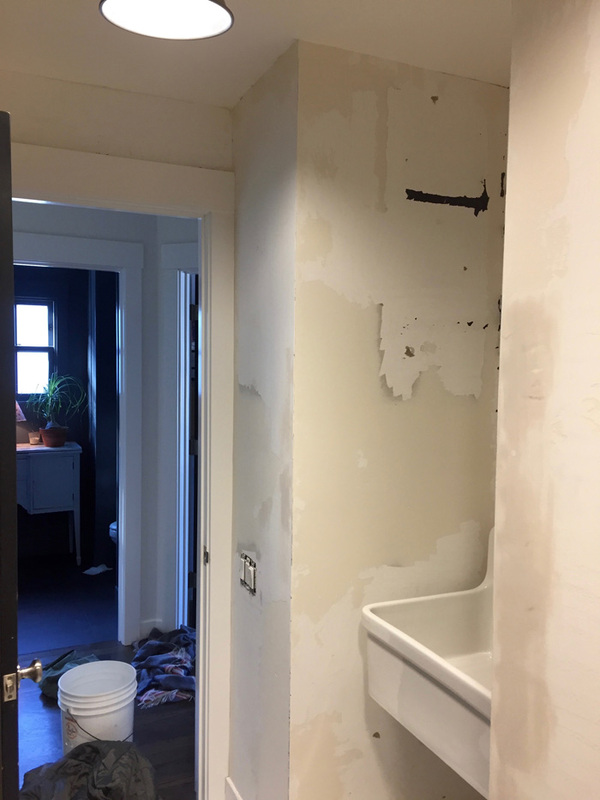 I have been going full bore because skim coating creates the biggest mess -no matter how "tidy" a worker you may be, and having a giant mess in the laundry room really wreaks havoc on a household. Before starting, I covered everything with rosin paper. 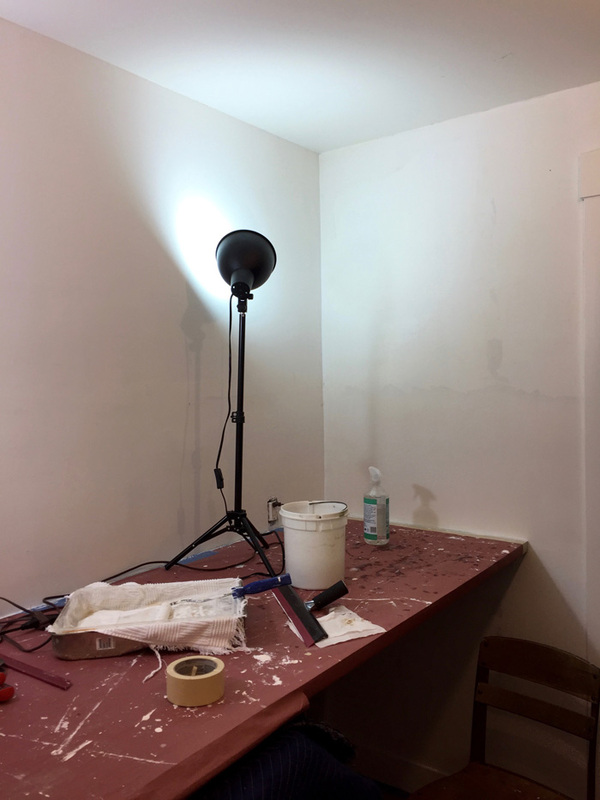 I thoroughly vacuumed and wiped the walls and then primed with BIN 1-2-3 latex primer. After than I started filling in the biggest ridges and cleaning up the corners with joint compound (undiluted) using a wide spackling knife. Those repairs required sanding before I could move on to skim coating everything. Oh, the dust! I watched this video on skim coating which proved very helpful. The only thing I would add is that I used a bucket of water with a rag in it to clean off my magic trowel. 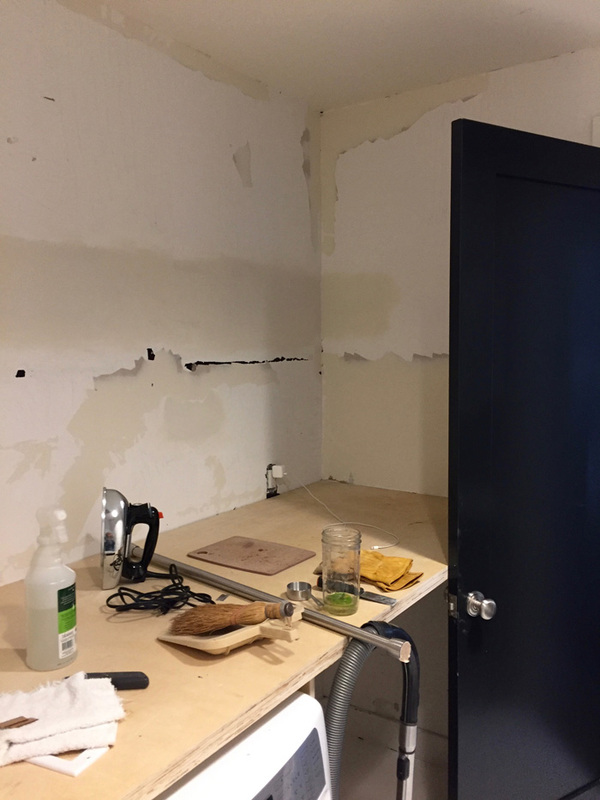 The magic trowel really is a good tool -with it, I accomplished something that I feared was beyond my skill set, smooth walls! Btw, I used a 18" variety which felt just about right. 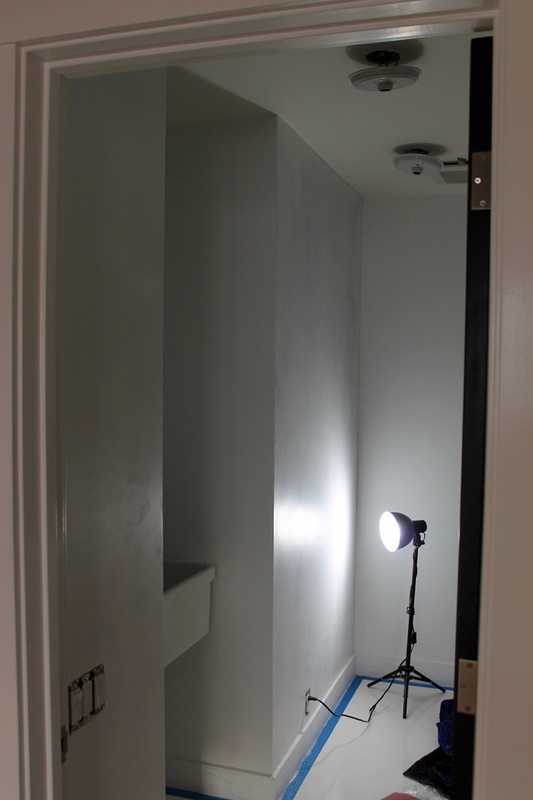 Beyond the trowel, the other most important factor in skim coating is good lighting. It is a must, I can not stress that enough! The light must bounce off the wall so that you can see any feathering that occurs with the compound. The feathering is totally manageable, but only if you can see it. Ok, one more thing too. Patience. patience, patience. My walls required 3 coats in most places and 4 in others. That's pretty tedious. After the skimming was finished it was time to sand and really make a mess. Oy. Really, oy. Side lighting is also critical at the sanding stage and then, most importantly, before the primer, a clean surface! There must be as little dust on the walls as is possible before priming again. I did a preliminary clean along the baseboards with a shop vac. Then I used my Miele vacuum cleaner with the hardwood floor brush to vacuum the walls. Then I wiped the walls with a very dry, damp sponge, then I pulled up the rosin paper and vacuumed everything and the walls again. The picture above shows me at the one coat of primer stage. I have since added two coats of paint. It needs a third, and then the fun shall begin -I plan to paint a graphic mural. I'm both excited and terrified at the same time, could be great or a total disaster.